This weeks reading is from Parashat Ki Tisa (Shemot / Exodus 30:11-34:35). The portion opens with the Lord instructing Moshe to take a census of the people (30:12). The Scriptures say that and each person is to give a ransom (half-shekel) to the Lord when numbered. Moshe instructs to make the bronze laver (30:17-18), and the perfume for incense to be used to make the cloud within the tabernacle (30:23-33). Moshe went up the mountain (Sinai, 32:1) and spent a considerable amount of time on the mountain. The people then asked Aaron to make gods for them to worship. Aaron took gold from the people and made a golden calf for them to worship (32:2-6). The Lord seeks to destroy the people and Moshe reminds the Lord of the covenant promises He had made to Abraham, Isaac, and Jacob (32:7-13). Moshe descends the mountain and destroys the two tablets (Aseret Hadibrot) because of the people’s sin (32:14-19). Moshe grinds the golden calf into fine powder, mixes it with water, and causes the children of Israel to drink it. He then instructs the people to dedicate themselves to the Lord as he returns in an attempt to make atonement for their sins (32:29-30). Moshe asks to be blotted out of the book of life if the Lord will not forgive the people (32:31-34). Moshe asks that the Lord’s presence come with the Children of Israel (33:12-17) and he asks to see God’s Glory (33:18). The Lord shows Moshe His glory and declares who He is, merciful, gracious, slow to anger, loving, and having grace, forgiving iniquity, transgression, and sin for thousands (34:6-7). Reading through the Torah portion this week, notice how the people did not understand what it means to obey God, or what it means to fulfill the Law. One of the major concepts found within the rabbinic literature is the concept of what it means to fulfill the Torah. Had the people understood the meaning of “to fulfill the Torah,” would they have taken better counsel to not make the mistake they did asking Aaron to build them a golden calf? And the Lord spoke unto Moshe, saying See, I have called by name Bezalel (Shemot / Exodus 31:2. Rabbi Tanhuma son of Abba began thus, Then did He see it and declare it; He established it, yea, and searched it, and declared it (Job 28:27). Had it not been that God foresaw it that Israel would receive the Torah, He would not have created the world; for it says, Then did He see it, and declare it. Rabbi Hoshaya said, Anyone who has knowledge but lacks the fear of sin, really has nothing, just as a carpenter who has no tools with him is not a real carpenter; because the bolts which guard learning are the fear of sin, as it says, And the fear of the Lord is its treasure-house (Isaiah 33:6). Rabbi Johanan said, If one knows the Torah but does not fulfill it, it were better for him that he had not been born, and that the after-birth in which he lay had been turned over his face; for this reason does it say, and unto man He said, Behold the fear of the Lord that is wisdom. Rabbi Hayya son of Abba said, What is the meaning of The fear of the Lord, that is wisdom? God said, I will give you a reward in return for your good deeds; the reward being Torah as it says, And unto man He said, Behold the fear o the Lord, that is wisdom, and to depart from evil is understanding. The second half of the verse means, If you depart from evil, then will I raise men from you who will understand Torah. This we have derived from Jochabed and Miriam who feared God, as it is written, And it came to pass, because the midwives feared God, that He made them houses (Shemot / Exodus 1:12). Rabbi Berekiah, in the name of rabbbi Hiyya son of Abba said, The reward of fear is Torah, for the Lord raised up jochabed Moshe, who had the distinction of having the Torah ascribed to him, as it says, Remember the law of Moshe My servant (Malachi 3:22), and also, Moshe commanded us a law (Devarim / Deuteronomy 33:4). As for Miriam, because she departed from evil and from sin, God raised up from her Bezalel, who attained to wisdom and understanding. Hence does it say, See I have called by name Bezalel, etc. And I have filled him with the Spirit of God, in wisdom, and in understanding, and in knowledge. The midrash begins by interpreting the Scripture, ב רְאֵה קָרָאתִי בְשֵׁם בְּצַלְאֵל בֶּן-אוּרִי בֶן-חוּר לְמַטֵּה יְהוּדָה: 31:2 ‘See, I have called by name Bezalel, the son of Uri, the son of Hur, of the tribe of Judah. (NASB) It appears that the rabbis recognize the significance of the name Bezalel (בְּצַלְאֵל) which means “in the shadow of God,” which is indicated in the midrash by the statement, “Had it not been that God foresaw it that Israel would receive the Torah, He would not have created the world.” The idea is that Israel’s acceptance of the Torah was what led the Lord to having created this world as we know it. The important concept being taught here is that one stands in the protection of God, in His shadow, by walking in His ways, in the way of God’s Torah. This idea is taken further in the midrash indicated by the rabbis comments that say, “Rabbi Johanan said, If one knows the Torah but does not fulfill it, it were better for him that he had not been born, and that the after-birth in which he lay had been turned over his face; for this reason does it say, and unto man He said, Behold the fear of the Lord that is wisdom.” The illustrations used of the carpenter who has no tools, is paralleled to one who calls himself a child of God and does not walk in God’s ways. Rabbi Johanan says that knowing the Torah should be followed by fulfilling it. The fear of the Lord is also paralleled to the one who fulfills the Torah. Let’s discuss what it means to fulfill the Torah? The Apostle Paul said to the Romans 13:10 Love does no wrong to a neighbor; therefore love is the fulfillment of the law. (NASB) What does it mean to fulfill the law (Torah)? The phrase “fulfill the Torah” is a rabbinic idiom that is still in use today. The word “Law” or “Torah” is understood from the sense of teaching, guidance, and instruction, rather than the “legal regulation.” Note from last weeks Torah portion, the Torah is understood as the light of God which provides for us guidance and instruction for living. Commentators have often understood the Torah to refer to the first five books of the Bible but tend to look at the Torah purely from the perspective of being a legal regulation rather than a loving God giving His children loving instructions for living. According to the Scriptures, we also know that the word Torah may be used as a reference to the Scriptures in general. In Yeshua’s time, and amongst Jews today, the Torah is a very positive thing, the Lord God gave us His instructions for living because He loves us and wants the best for our lives. As a result of this, the rabbis made it their goal to understand these instructions and to teach people to live by them just like we read in Ezra 7:10. Here we another sense of the phrase “fulfill the Law,” is given which means “to carry out a law,” or what it means to actually do what it says. In the rabbinic rulings near Yeshua’s time, we can find many examples of this usage, such as from Mishnah, Sukkot 2:7, “If this is how you act, you have never in your whole life fulfilled the requirement of dwelling in a sukkah!” Here, one rabbi is criticizing another’s interpretation of the Torah, which caused him not to do what it really intends. 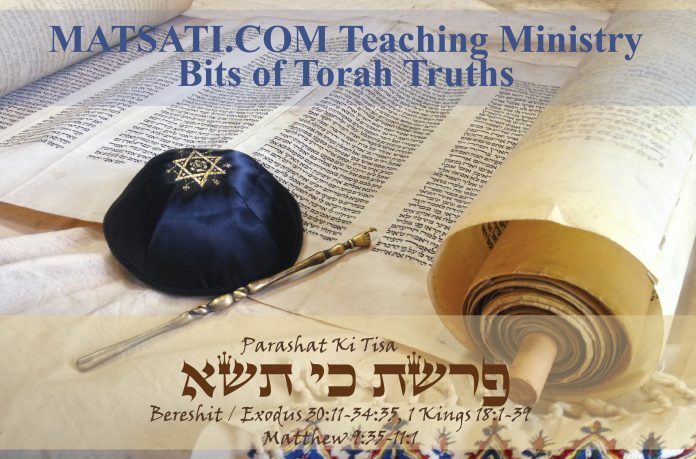 Teaching that Christians are not obligated to obey the Torah is a gross error if the Apostolic writings are written from the rabbinic point of view of doing what the Torah really intends in the fulfillment of the Torah as opposed to its being destroyed or done away with. Here we find two actions (i) “practicing” and (ii) “teaching others to do the same.” These two are a parallel to the two idiomatic senses of “fulfill,” while the words “break” and “teach others to break” are the idiomatic senses of “abolish.” Yeshua’s statement about fulfilling and abolishing the Torah is a parallel to this sentence. Remember that parallelisms were also a very common rabbinic method for emphasizing an idea in the Bible. By understanding the idiom of “to fulfill,” we see that Yeshua was emphatically stating his intention, which was to explain God’s word and live by it, and not to undermine it. Based upon this analysis, to teach that the Torah is abolished or done away with is to undermine the true meaning of God’s word. The question then is if the Torah is God’s instructions for how to live, then are Gentiles entirely excluded from its wonderful truths? In both the epistles of Paul to the Romans and Galatians, following Paul’s having spent time arguing over the halachah regarding how to observe the Torah and its relationship to salvation in Yeshua the Messiah, he answers this question by speaking about how the Gentiles can “fulfill the Law” according to Romans 13:8-10 and Galatians 5:14.